Last Friday, I showed you my “Make It Amazing” Handbag, made with Scotch® Expressions Tape and a cardboard cereal box. 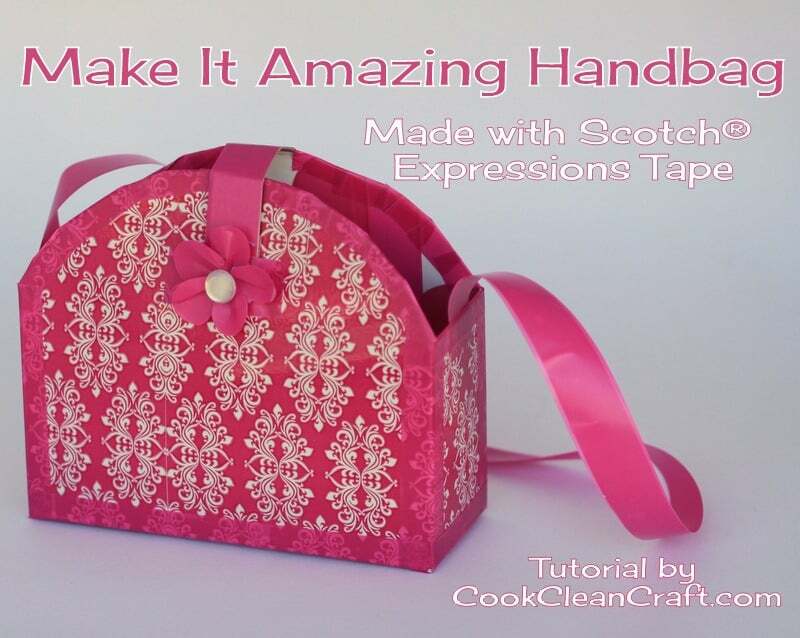 I made it to promote the Make It Amazing competition, where you can win an iPad Mini be creating with Scotch® Expressions Tape. Are you unable to enter because you haven’t yet bought up big on Scotch® Expressions tape? Then luckily, I have a giveaway for you today. Can’t wait to see what it inspires you to create! Entries close at 12:00am, 10th February, 2014 (Western Australia Standard Time). Three winners will be selected at random and notified by email. Prize winners will have 1 week to claim their prize, by return email, otherwise alternative winners will be selected. Prize is available to Australian and New Zealand residents only, and void where prohibited. Prizes will be fulfilled by Channel T on behalf of Scotch® Australia and New Zealand. Details provided will be used for prize fulfilment only. No personal data will be collected/sold or spammed. Disclosure: I received product and compensation for my time from Scotch® Australia and New Zealand. All thoughts and opinions are my own. I think I would start by making gift boxes out of household recyclables. So much fun. We will make lots of cute and fun photo frames using cardboard and Scotch Expressions Tape so that we can capture all the stages of our daughter’s first year and look back at them on her first birthday. I think we could brighten up some boxes that my son uses as a cubby!